Watch Out Apple. Here Comes The Google Store. As the age-old adage goes, if you can’t beat them, join them. And that’s precisely what Google appears to be doing. After going years without a real digital storefront to vie for business against competitors like Apple and Amazon, Google is reportedly in the process of building an online store to sell its vast selection of Android-powered tablets. According to the Wall Street Journal—who for some reason has recently become privy to the internal workings of the Google Empire—the web giant is set to “sell co-branded tablets directly to consumers through an online store like rivals Apple and Amazon.com Inc.” Not unlike an Apple rumor site, the WSJ cited none other than the notorious “people familiar with the matter” as the source of this new development. “The move is an effort to turn around sluggish sales of tablet computers powered by Google’s Android software,” the article continued. Such a move would conveniently coincide with the much-anticipated Nexus tablet that Google is reportedly working on with ASUS at the moment. The advent of a “Google Store” only seems more appropriate when one considers the greater context of Google’s state of affairs. Not only will it open up a long-overdue means of competition with big rivals like Apple and Amazon, as well as provide an excellent launching point for the company’s first homemade tablet, but Google’s pending multi-billion dollar acquisition of Motorola Mobility could quite likely give Google the firepower to begin regularly produce its own tablets. Nevertheless, history does tell us that such news should probably be taken with a grain of salt. Even if the WSJ had cited specific sources in its report, it’s important to remember that Google tried this back in 2010 with its release of the Android-powered Nexus One smartphone. But after a number of months, the project was eventually shelved. 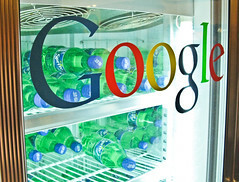 Will Google finally launch an online store? What do you think? Share your thoughts and insights in the comments below.